As millions of Americans sit down to barbecues this holiday weekend, most will probably indulge in at least one serving of the world’s favorite vegetable (errr, fruit.) After all, what good would all those burgers be without a little ketchup? 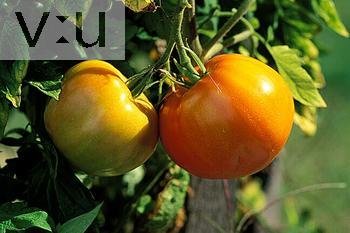 You may or may not be surprised to learn that the United States is the world’s second-largest producer of tomatoes. In fact, the U.S. produces nearly 13 million tons of the fruit each year. Knowing that the agricultural industry accounts for 70% of global water use each year, it’s safe to say that all those tomatoes are sucking up more than their fair share of H20. So what if we told you farmers could grow equally healthy and delicious tomatoes by using 20% less water? Multiple studies have shown that the use of Aquatrols patented IrrigAid Gold soil surfactant may help them do just that. In four studies conducted between 2008 and 2010 by University of Florida researcher Bielinski M. Santos, the use of IrrigAid Gold was shown to increase soil moisture, root biomass, and early fruit yields in tomato plants, even when irrigation was reduced by 20%. Research has also documented potential water savings of up to 40% per season for corn-growers using the surfactant. With over half of the United States currently experiencing some degree of drought, these impressive savings could make IrrigAid Gold a valuable weapon in the fight against water scarcity. For more information on IrrigAid Gold and other Aquatrols products, head over to Aquatrols.com.